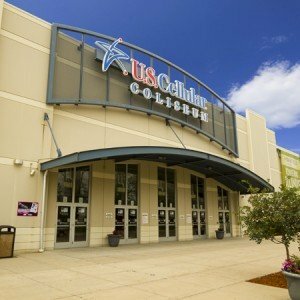 Bloomington, IL – The City of Bloomington has awarded management of the U.S. Cellular Coliseum to the Iowa-based venue management company, VenuWorks. VenuWorks has significant experience managing the needs of mid-sized arenas serving community, regional and national events. VenuWorks will commence management duties April 1 under a 90-day transitional agreement while a five year contract is finalized with the City. The venue has been under the management of CIAM since its opening in 2006. VenuWorks will be responsible for all operations of the Coliseum including staffing, booking, food and beverage, ticketing, sales and marketing. A new venue manager will be named within the next 60 days. VenuWorks hopes to retain most of the incumbent Coliseum employees. The operations of the Coliseum will continue seamlessly, with no interruptions. All existing event and sponsorship contracts will be honored. All tickets purchased to events currently on sale will be honored. The Coliseum will continue working with Ticketmaster, VenuWorks’ national ticketing partner, providing a seamless transition for the patrons.